For those who are wish to begin a new career as a diesel mechanic, earning a degree at the right diesel mechanic college in Illinois can increase their chances of getting a good position at an upstanding corporation. Diesel mechanics are vital to maintaining and repairing diesel trucks, which can have a huge impact on the economy throughout the United States. As with most jobs across the nation, the BLS (Bureau of Labor Statistics) reports that individuals can expect to see job growth in this industry, increasing by 15 percent until 2020. Before starting a new career as diesel mechanic, individuals need to fully understand what steps they need to take in order to be successful in this career, including communication skills and educational training. Most colleges and institutions require aspiring diesel mechanics to have completed the necessary prerequisites to be able to enroll in a diesel mechanic program. In order to major in diesel technology, students need to first complete the required high school courses, obtaining their diploma or GED. Many universities even require students to have taken certain courses in high school, such as two years of math and science as well as four years of English. Students who wish to earn an Associate of Science in Diesel Technology need to learn the specialized skills needed to repair, modify, and maintain diesel trucks. 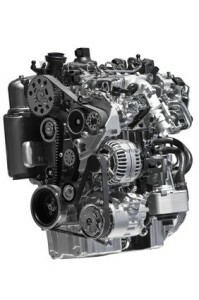 An associate’s degree offers the knowledge of truck functions, tools, and parts that diesel mechanics need to effectively recognize and repair a malfunctioning engine. Earning an associate’s degree can take approximately two years to complete, training students to apply both analytical and observational skills to effectively solve any problem that arises. Most diesel mechanic schools in Illinois utilize lab and garage settings to help students obtain hands-on experience, preparing individuals to be successful in their new endeavors. Aspiring diesel mechanics who wish take on an administrative or managerial role at a diesel corporation can enroll in a Bachelor of Science in Diesel Technology program at an accredited college, university, or vocational school, which can take up to four years of schooling. Students who wish to follow this career path should expect to learn about diesel technology’s methodologies and techniques as well as the natural sciences, mathematics, and humanities. For those who wish to become a diesel mechanics, making their resumes stand out is vital to finding a job quickly, especially in today’s struggling economy. Most companies do not require diesel mechanics to obtain certification on top of their degrees; however, certification can set them apart from the competition. The National Institute for Automotive Service Excellence (ASE) offers accredited certification in diesel technology, testing applicants over the specialized areas, including steering systems, brake systems, preventative maintenance, and electrical systems. According to the BLS, diesel mechanics can expect to earn a median salary of $40,850, or $19.64 per hour. A career as a diesel mechanic is the perfect solution for those who like to work hard and get their hands dirty.